National Technical Research Organisation Jobs Recruitment Notification 2019. 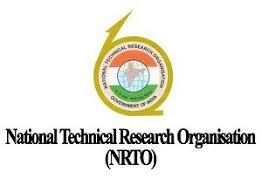 NTRO invites applications for the positions of Motor Transport Assistant. Interested and Eligible candidates can apply for the positions. Last Date for Submission of Application is on June 21st, 2019. 2. Desirable: Experience of driving a motor car for at least 3 years. (ii) Valid driving license for Heavy and Light Motor vehicles including Motor Cycles. (iii) For retired Defence Services personnel - a copy of discharge certificate. Assistant Director (Pers/R-1), National Technical Research Organisation, Block-lll, Old JNU Campus, New Delhi- 110067. 1. The application should be neatly typed/filled in the prescribed format (Annexure- | & ll) on A-4 size paper. The envelope containing the application must be superscribed as "Application for the Post of Motor Transport Assistant Grade A" (in CAPITAL letters) and should be sent to the "Assistant Director (Pers/R-1), National Technical Research Organisation, Block-lll, Old JNU Campus, New Delhi- 110067". 2. The last date of receipt of application is 30 days from the date of publication of this recruitment advertisement in the Employment News, The recruitment notice and the application form are also available at the website ntro.gov.in for information, The extension of the last date of receipt of application, if any, will be notified in the said website. 3. Incomplete applications and those received late and/or not accompanied by supporting certificates/documents, in support of qualification and experience claimed by the candidates, may not be processed for determining the eligibility for selection, No correspondence in this regard would be entertained.